Kelly's Korner: Who needs some Christmas Cards? Who needs some Christmas Cards? I think I have told y'all many times over that probably my favorite part of Christmas (besides the magic of watching my children on Christmas morning and obviously just celebrating the birth of my Savior) - is Christmas Cards. I LOVE getting mail and I'm never happier than in December when I open the mailbox every day to find cards full of pictures of people I love. I basically skip to the mailbox every day. We have a Christmas tree solely dedicated to Christmas cards. I even know my mail carrier is Susan and I like to visit with her - that's how much I love getting the mail each day! 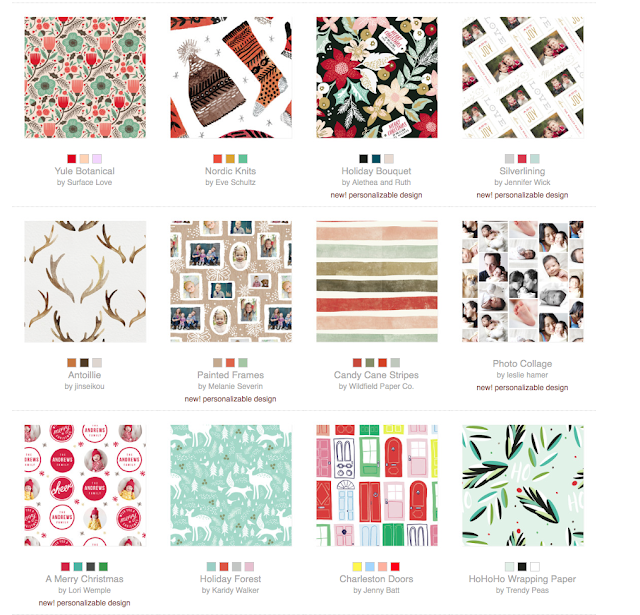 One of my favorite places to order cards is Minted.com. They have so many extras besides just beautiful cards. They will also address your cards for you!!!! FOR FREE!!!! Which is basically worth the price of EVERYTHING. It's the gift of time!!! 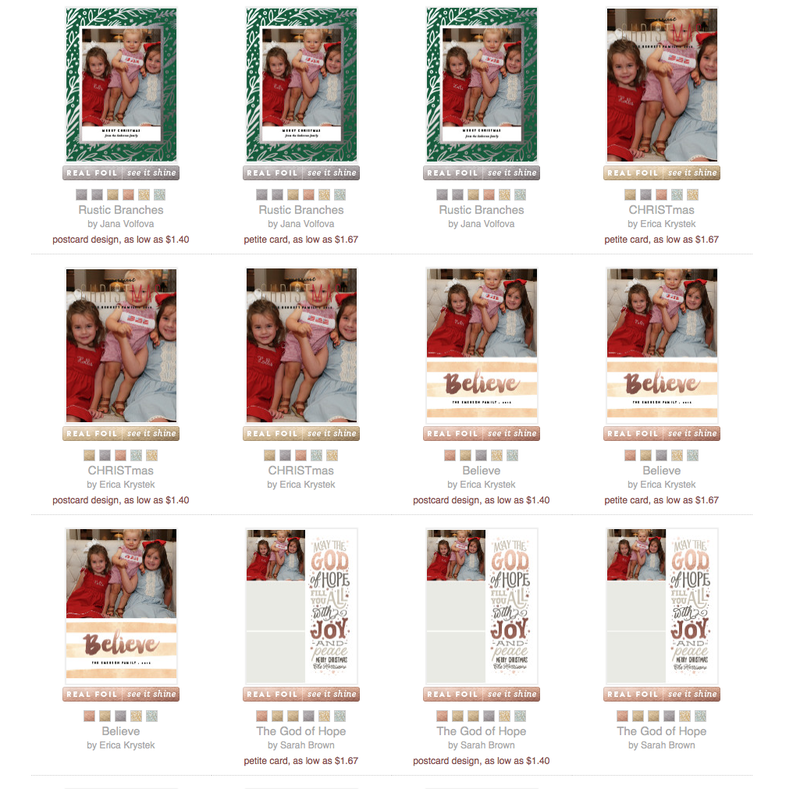 You can also buy the cards when there is a sale - and then go back later and personalize and make changes. Plus the cards are beautiful! And they have other things besides cards - like personalized WRAPPING PAPER!!! How fun would this be under your tree???? And from now until 11/22 - they have 15% off orders of $150+ and 10% off orders of $100+!!! And TWO of you are going to win $125 credit!!! Wouldn't that be awesome to order your cards? Just go HERE to enter!!! !